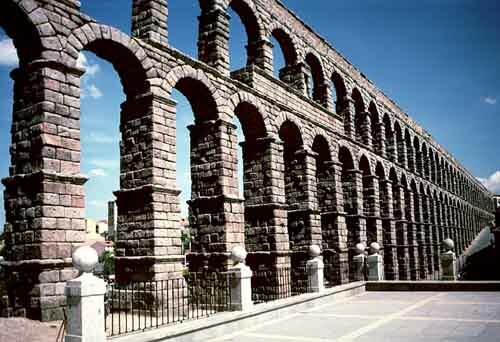 The Roman aqueduct of Segovia, probably built in 50 A.D., is remarkably well preserved. Its total length is over 16 kilometers long. The pictured section is 900 meters long and 34 meters high. It has a 128 arches. It cuts right through the center of town.